Hello all and happy Wednesday! I love Wednesdays, it means that half the work week is over and the weekend is near. I just have a quick post today. These are two cards I made using two different watercoloring techniques. 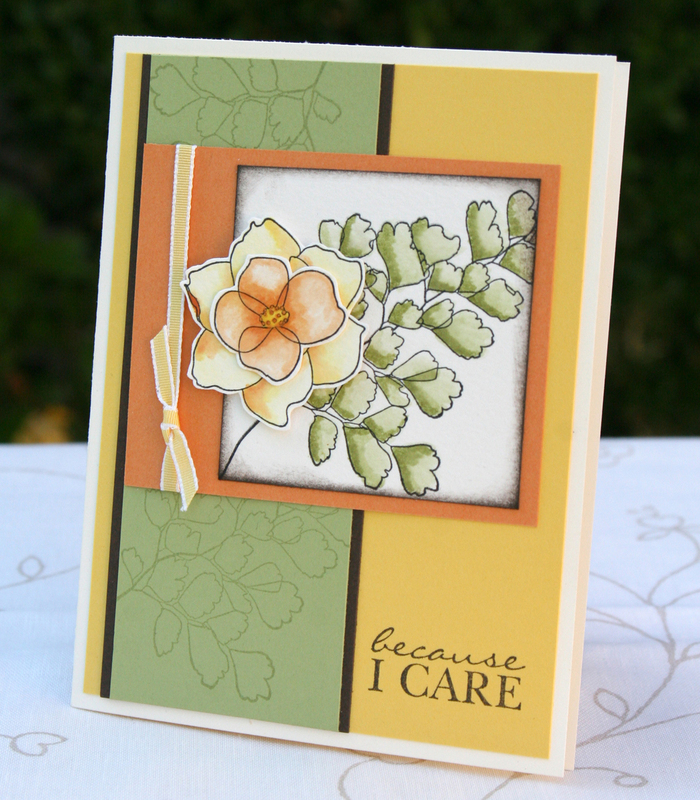 The first card is a project I taught in one of my Stamp Club meetings a couple months ago, the flowers are colored using a Classic Ink Pad and an H2O Pen. Make sure that anytime you are coloring an image, whether it be with markers, H2O Pens or Blender Pens, always stamp your image in Stazon Ink. This will prevent your stamped image from bleeding into your coloring. For the first technique, all you need to do is make sure there is ink in the lid of the ink pad case and use your H2O Pen to pick it up and apply it to the areas of image you want to color. I always start with a subtle layer of color over the entire image and darken the areas I want to shade as I go. It’s more forgiving to start light and do dark, than to go too dark in the beginning. When we made the card, I didn’t have a Pear Pizzazz Classic Ink Pad yet, so I used my marker and colored on some wax paper, then lifted the ink with the H2O Pen from that. With this next card I used a different watercoloring technique. I started with my marker in one hand and my Blender Pen opened and ready in the other hand. I put color with the marker in the areas I wanted to be the darkest, then used the Blender Pen to pull it into the rest of the image. This technique works very well, but you must be quick… no lolly gagging! 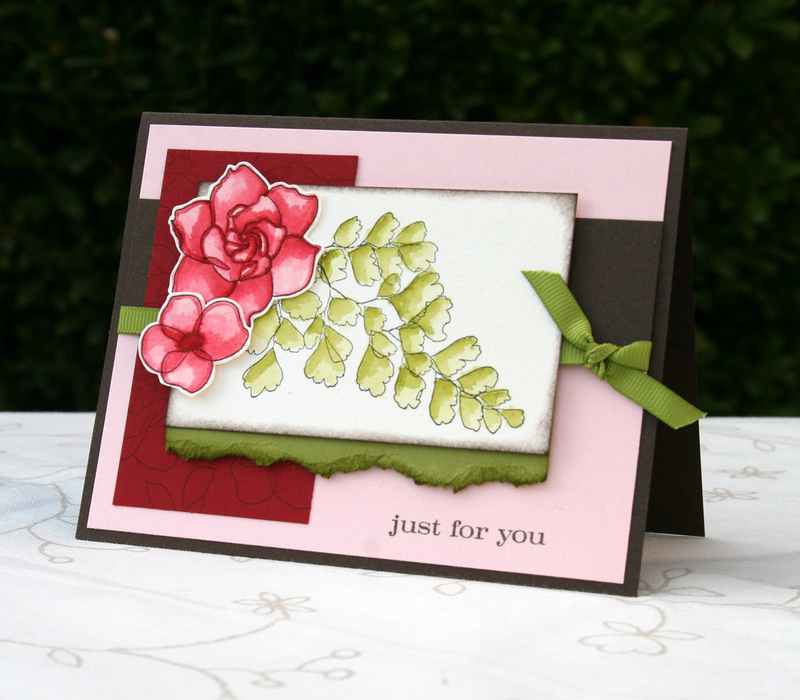 All supplies can be purchased at my Stampin’ Up! website. ← Can’t wait til Spring!